That’s right! 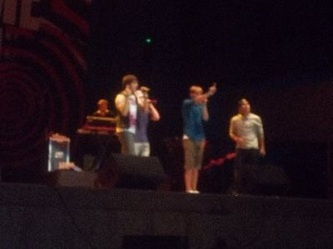 Big Time Rush booked a show in Mexico. 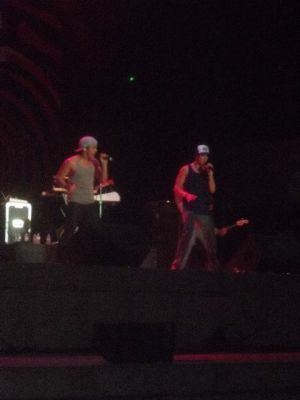 They will be opening for tween sensation,Justin Bieber, on October 1, 2011 at Foro Sol in Mexico City. Head over to TicketMaster for tickets. We want to know, are you going?! As we reported last month, News Tribune, the local newspaper in Peru, IL, is coordinating a flash mob to Big Time Rush’s “Til I Forget About You”. Click here to check out what they have worked on! Tickets are still available for the child-friendly Concert for a Cause this Saturday at Illinois Valley Regional Airport in Peru. 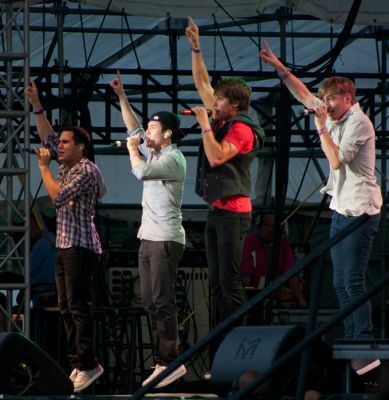 Kendall, James, Carlos and Logan of boy band Big Time Rush, who also star in an eponymous television show on Nickelodeon, will be taking the stage with opening act Days Difference to raise money for Peru’s municipal swimming pool. About 3,200 tickets have already sold, according to Concerts for a Cause organizer Merry Noonan. Advance-priced tickets of $40 will continue to be sold until Friday at Lou’s LaGrotto in Peru and Wyanet Carpet or by calling LaGrotto at (815) 223-3083. Tickets will be $45 at the gate on Saturday. There will be more than just music for those in attendance. A mini-carnival, including inflatables, a climbing wall and other activities, will be within the concert area. “I wanted to make it a fun family day,” Noonan said. The 172nd annual Erie County Fair got off to a big start Wednesday night, serving up Nickelodeon boy band Big Time Rush to a sold-out crowd of more than 8,000 mostly screaming teens in the Buffalo. com Grandstand. The four actor-turned-singers are the stars of a show that premiered in January 2010 with the largest audience for a live-action series debut in the 30-plus-year history of the kids television network. Beyond that, there’s nothing historic about Big Time Rush’s act — but nothing threatening, either. The most suggestive moment in the presentation — certified safe for kids — was WKBW Channel 7 Joanna Pasceri introduction remark that she saw one of the performers backstage with his shirt off. 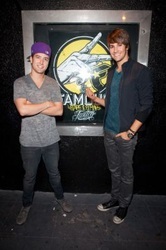 The only sign of any danger: a “Punk is Not Dead” T-shirt worn by the group’s James Maslow. 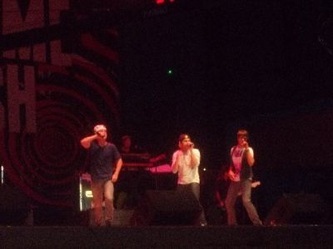 From the start, the quartet proved in the pantheon of boy bands to be more O-Town than ’N Sync, relying on pedestrian group dance moves and not much vocal harmony, and revealing little personality beyond basic banter between songs. The theme song that bears their name appeared to include some prerecorded harmonies during choruses, courtesy of the keyboard player, who led the band throughout the night with various synthesized lines. While Big Time Rush did sing live, harmonized moments were few among the four, all greater than the sum of their parts — to put it in 21st-century pop context. 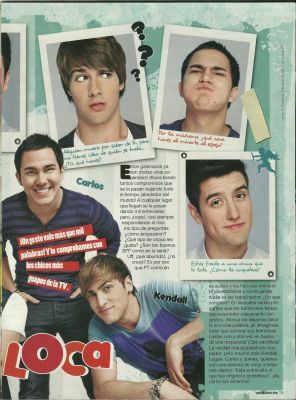 It’s tough to imagine either Maslow, Kendall Schmidt, Carlos Pena or Logan Henderson claiming an American Idol crown on his own. However, they win when together as harmlessly, charming kids who smile while singing fun and — in the long run — likely forgettable songs. After singing “Any Kind of Guy,” the group members announced they would return to Buffalo on Dec. 6 for the annual Kissmas Bash in HSBC Arena. Brace yourselves, parents. Those screams become so much louder indoors. 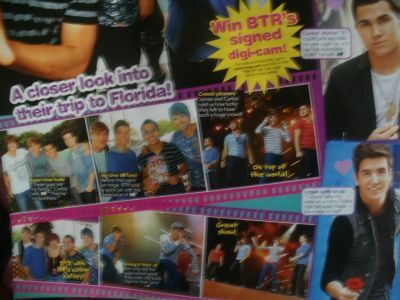 Make sure you pick up your copy of BOP Magazine! Why? 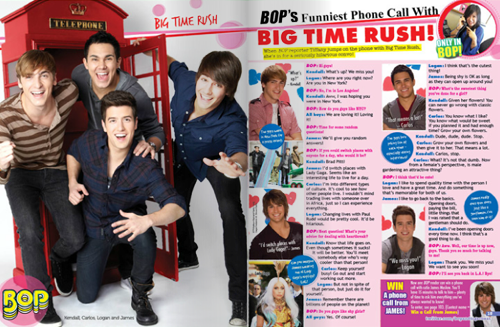 In this month’s edition, you can win a phone call from thee James Maslow! 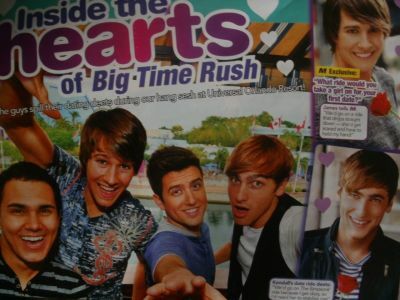 Also packed inside is an interview and a poster. BOP Magazine‘s new edition is on stands now! Big Time Rush performed before a packed house Friday night at the Clearfield County Fair. 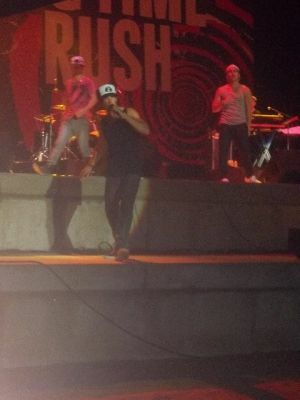 It was the first show to sell out prior to the fair since Poison performed five years ago and thousands of young fans from Perryopolis to Pottsville packed into the Grandstand and track to see the popular music and television stars perform. 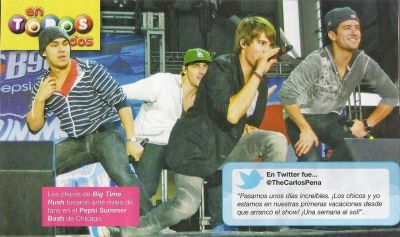 The group consisting of Kendall, Carlos, James and Logan (no last names given) also have a popular show on Nickelodeon. And many fans who could not get tickets, pressed against the gates hoping to catch a glimpse of the show through holes in the fences. 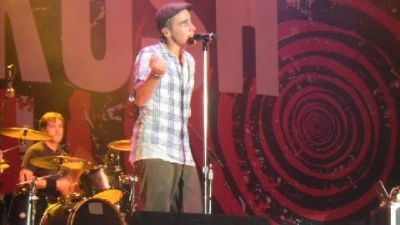 The band opened its show with “Famous” and followed with such hits as “Boyfriend,” “Big Time Rush,” “Worldwide,” and “Stuck.” The band also paid tribute to another popular foursome from years ago when it performed “I Want to Hold Your Hand,” by the Beatles. Through much of the show the band sang and performed choreographed dance routines but also did an acoustic set where they all sat on stools and sang to an acoustic guitar. And for one song the band came down from the stage and they shook and slapped hands with audience while they performed. For much of the show, the predominantly youthful crowd in the track seating area stood on their chairs and danced, screamed and sang along with the music. Many fans like Jessica Russell, 15, Megan Campbell, 15, and Jessica Kulwicki all from Perryopolis drove for hours to attend the show and were wearing homemade T-shirts and carrying signs paying homage to the band. 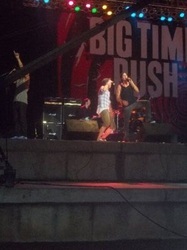 The three friends said they drove for four hours to come to their first Big Time Rush show. “It was amazing,” said Russell. “I thought it was really good,” Campbell said. “I liked it all.” Kulwicki said she too really liked the show but said she was “very disappointed” she didn’t get to touch any of the band members like her two friends did when they came down from the stage. “It was awesome,” Madison Irwin, 12, of Schuylkill Haven said. Many of the locals too said they enjoyed the show. “It was the best experience I ever had,” Sarah Wriglesworth, 16, of Curwensville said. “It was good,” said Nick Coudriet, 7, of Philipsburg. Coudriet said he was a big fan of the band and their TV show and said they have all their episodes recorded. The band performed for about an hour and a half and fans stayed for more than an hour afterwards hoping to meet or get autographs from band members. Those in front of the stage scrambled to catch water bottles and guitar picks used by the band during the show that were being thrown off by stage hands as they tore down the set and packed away the instruments. Clearfield Mayor James Shell who is also a fair official said Friday before the show band members wanted to go to the fair so they took them around the fair on golf carts. 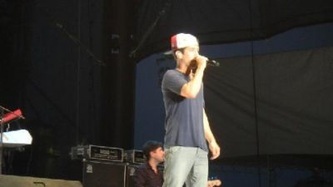 While out, he said band members bought two mini-bikes and two four wheelers from a local vendor at the fair. “They dropped a lot of money in the local economy,” Schell said. And Schell said the band members told him they were going to try to use their new toys on their T.V. show. “I told them to mention Clearfield,” Schell said. 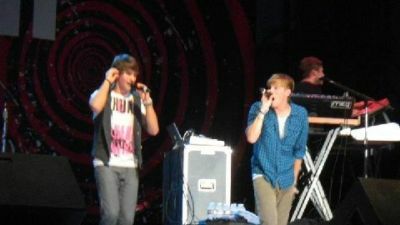 Big Time Rush performs "Worldwide"
Kendall Schmidt tweeted: Looking good MI! So glad you all came out..hope you like our mini bike/ATV entrance. 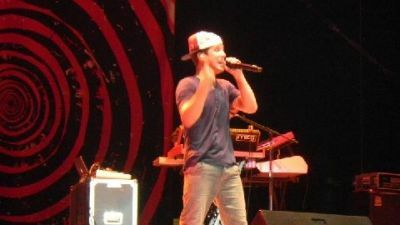 At the Big Time Rush show Saturday night at the Wisconsin State Fair’s Potawatomi Bingo Casino Main Stage, almost all the adults present were parents keeping watch over their children. That’s how it goes when the group onstage was assembled not by like-minded musicians but by Nickelodeon. Big Time Rush (or BTR, as the fans say) is the real offshoot of a fictional TV series (of the same name) about four Minnesota hockey players who get selected to be in a boy band and travel to Hollywood, where they have adventures. That’s not nearly so wacky as what happened on “The Monkees,” but it’s also somewhat less plausible than Disney’s “High School Musical.” However, as the band in the flesh made clear, plausibility isn’t the point. 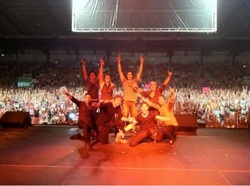 Making fans out of kids, particularly girls, is the point, and Big Time Rush nearly sold out the venue. 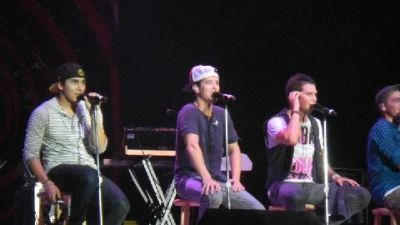 Bounding onstage, the four guys – Kendall Schmidt, James Maslow, Carlos Pena Jr. and Logan Henderson – were so freshly scrubbed that they might as well have had soap bubbles wafting from their pores. Although Schmidt is 20 and the other three are 21, they all presented a nonthreatening cuteness, more suitable for crushes than for lusty thoughts. Among those fans (the many toddlers in the crowd, for example) who were unlikely to have crushes on the members, they were role models or big brothers. 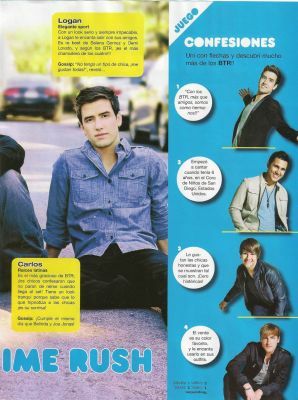 Which made Big Time Rush an alternative to the randier pop artists on the charts. Put it this way: Last month at Summerfest, when Britney Spears brought a fan onstage, she gave him a lap dance. 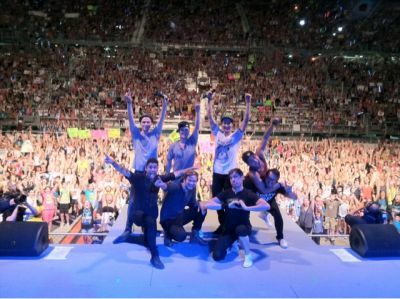 When BTR brought a giggly and overwhelmed fan onstage, the guys serenaded her with the gooey romantic sentiment of “Worldwide” and gave her (chaste) hugs. By comparison, opener Greyson Chance was edgier – and he’s a 13-year-old with a voice that could do a passable Katy Perry echo. But his piano-recital reading of Lady Gaga’s “Paparazzi” (which got him attention on YouTube last year) was just as popular with the kids as Big Time Rush’s harmlessness was. The adults didn’t have such a bad time either. Days Difference is giving away tickets for their first three upcoming shows with Big Time Rush in New York, Indianapolis and Illinois. To enter all you have to do is email theddguestlist@gmail.com with your full name and the Big Time Rush show you want to see. They will add 5 fans per show. Kendall Schmidt makes girls cry for a living. Not that he enjoys doing that. 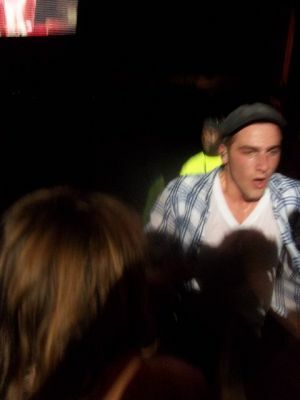 In fact, when the singer who plays Kendall Knight on Nickelodeon’s “Big Time Rush” sees the sobbing he starts with his young female fans, he has just one thing he wants to say to them all: “Please don’t do that! I’d rather you be happy in this situation.’ Although, as he eventually realizes, that is them being happy. Two seasons into “BTR,” about four Midwestern guys who move to Los Angeles to become major singing sensations, the show remains one of Nick’s most popular series and its premiere episode in January 2010 is still the highest-rated live action debut in the network’s history. The sing-com has already been renewed for a third season, another significant indication of the series’ popularity. For Schmidt, though, the key sign is in that sobbing. 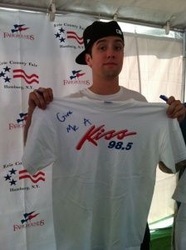 And make no mistake, it’s not just teen and tween girls who rush to meet Big Time Rush. During a trip to Las Vegas, Schmidt even had 30-year-old guys coming up to say, “Keep up the good work,” and pose for a picture with him. He’s also scoring big with another key demo: parents. The guys’ friendship isn’t the only part of this art that’s imitating real life. 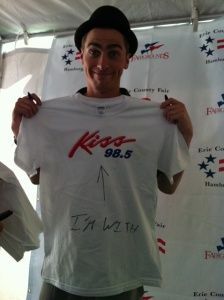 Off-camera Kendall can definitely relate to “BTR” Kendall because they have more in common than just looking alike. When Schmidt was still a young actor in Los Angeles, he lived in temporary residence apartments called the Oakwood, which are just like the Palm Woods Hotel on the show. He’s also hoping that the episodes next season will replicate other things in his life. 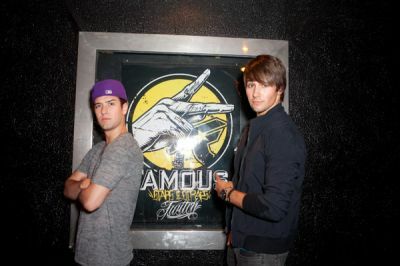 Big Time Rush to be featured on "PRIMETIME NIGHTLINE: CELEBRITY SECRETS"
“Primetime Nightline: Celebrity Secrets – Underage and Famous” goes inside the fame game, the world of teenage and child stars. ABC News’ Juju Chang, Andrea Canning, Chris Connelly and David Wright look at kids and teens on the road to stardom, as well as stars from the ’80s, ’90s and ’00s, who candidly reveal that success isn’t always as sweet as it seems. A 13-week summer series, “Primetime Nightline” launched on June 22. The program airs Wednesdays at 10:00 p.m., ET on the ABC Television Network. ABC News’ “Nightline” is anchored by Cynthia McFadden, Terry Moran and Bill Weir. John Donvan and Juju Chang are correspondents. Jeanmarie Condon is the executive producer. I bolded a couple of important lines in this article! 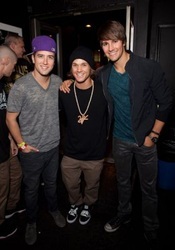 I can’t wait to hear their new songs!! Big Time Rush’s “If I Ruled the World” has just made its way out for fans’ viewing pleasure. 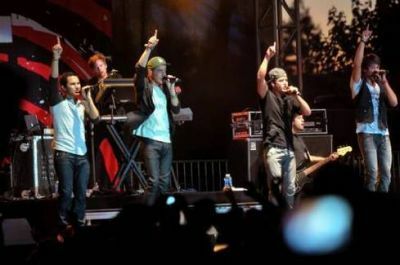 The clip is filled with montage of James Maslow, Carlos Pena, Logan Henderson and Kendall Schmidt singing and busting a move in front of screaming fans. 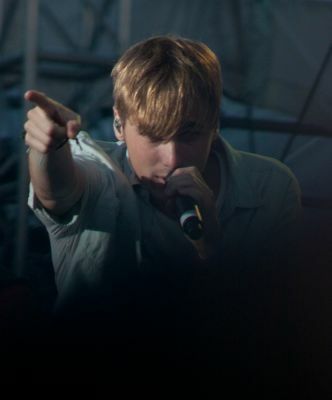 “If I Ruled the World” actually features British singer Iyaz, but it was the solo version which was featured in the accompanying music video. The single, either the solo or the duet, will be included in their second studio album. While waiting for the album to arrive in stores later this year, fans can expect to hear more new singles from the band in the upcoming episodes of the Nickelodeon TV series. After the “Big Time Single” episode which saw the band premiering the “Ruled the World”, the show is expected to resume with a new episode called “Big Time Wedding”. Big Time Rush Hotties get wild with BOP and Tiger Beat! Here at BOP and Tiger Beat, we’ve spent so much time with Big Time Rush cuties Logan Henderson, James Maslow, Kendall Schmidt and Carlos Pena that we’ve accumulated TONS of video footage of the boys. We knew we couldn’t keep these gems to ourselves! Check out our EXCLUSIVE video of never-before-seen footage of all four boys. You’ll uncover Logan’s secret fear and catch the hotties showing off their slick dance moves (yes, we caught every second on camera, guys!). 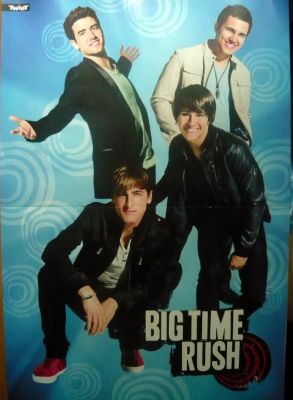 “Big Time Rush” is a Nickelodeon TV show about four longtime Minnesota friends who are groomed by a desperate music producer to become the next big boy band. Off-screen, the actors who portray these characters have spent the last two years being groomed by a successful TV producer to become the next big boy band. Confused? Not if you remember the Monkees, you aren’t. “Big Time Rush” was created by Scott Fellows, who patterned the show after “The Monkees,” which was itself beholden to the film “A Hard Days Night,” starring that Cadillac of boy bands: the Beatles. 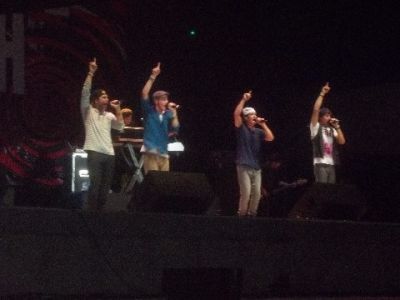 Now, the actors who portray the fictional members of Big Time Rush are on their first tour as the real members of Big Time Rush. 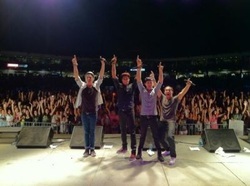 They will perform Thursday at the Indiana State Fair. North Texas native Logan Henderson, who plays Logan Mitchell on the show, recalls the cattle-call audition in Dallas that began his Big Time Rush odyssey as unpromising. But the callbacks came and Henderson decided to take one of the bigger plunges that people refer when they say, “Take the plunge,” and move to Los Angeles straight out of high school. 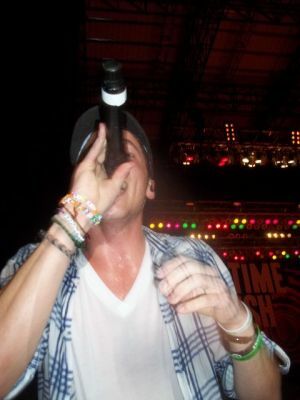 He worked at Jamba Juice and went to auditions and awaited word on Big Time Rush while Fellows took his own sweet time with the show (although Fellows was probably setting his watch by Nickelodeon’s sweet time). 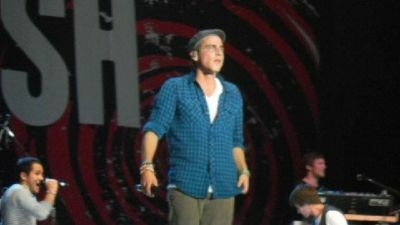 On the audition circuit, Henderson befriended an actor named Kendall Schmidt, little knowing that Schmidt would also soon be cast on the show. Schmidt was the last member of the quartet hired, and he has the three other guys to thank (doubtless, he has already done it several times). The show chronicles the comical process by which four goofball teenage hockey players are turned into professional entertainers. In the real world, the actors were undergoing the same process, presumably with fewer pratfalls. Henderson says fans of Big Time Rush often confused the actors with their characters in the beginning. But now that there is so much behind-the-scenes footage available to them, he says, they are starting to fully appreciate the difference between the two Logans and the two Big Time Rushes. As absurd as the show is, it would be difficult for the actors to live up to the broadly humored example set by their characters. The show has about as much to do these days with the real workings of the music business as “Duck Soup” has to do with dictatorships. 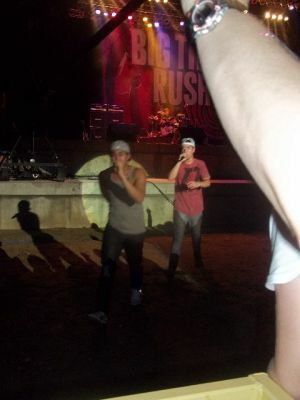 Speaking of loss of control, fans of Big Time Rush often demonstrate it when the band is in the general vicinity. Which is extraordinary when one considers that Henderson had negligible musical aspirations five years ago. On Nickelodeon, four madcap hockey players from Minnesota run into all sorts of misadventures as they rock Hollywood as the boy band Big Time Rush. Onstage, they’re living their dream, coming face-to-face with the fans that made them the hottest commodity on the teen pop scene today. And when Kendall, Logan, Carlos and James come to Midland’s Dow Diamond this Sunday, Aug. 7, turning the WIOG Lizard Fair 2011 into a hub of BTR-mania, they’re going to keep it real backstage with the help of a playful little dog. It’s a built-in request on their rider, a first in 10 years of Lizard Fairs, said festival organizers from WIOG-FM, 102.5. It’s the calm that comes before the storm of screams when they hit the stage, in a day that includes family-friendly appearances by Flo Rida, Jay Sean, Runner Runner, Secondhand Serenade and Michael Africk. Of course, that means putting everything else on hold for the moment, but as the series enters its third season with a new album, a major tour and thousands of little hearts beating fast, “I can’t complain,” said James Maslow, who plays James Diamond. “My character is always chasing pretty girls,” he said. “The best thing about our characters is that they are all really fun and it means getting into hilarious situations on the show. 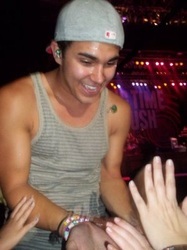 Added Carlos, “We appreciate that our fans love our characters and can relate to them. 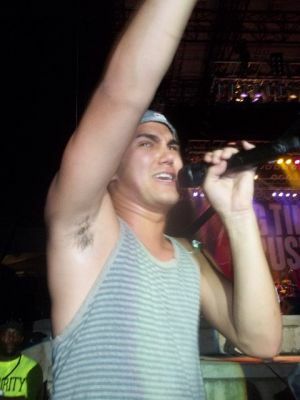 I’m happy to hear people cheering us on whether it be for Carlos Garcia or Carlos Pena. News flash! They’re not really hockey players from Minnesota, though James now sports a badge of honor, a hockey-inflicted scar on his elbow. 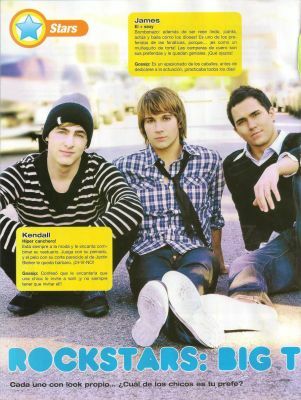 “Carlos used to play street hockey and I played a little bit when I was younger bur for the most part, I think we picked it up through our work on the show,” James said, adding that Big Time Rush is actually plays off a hockey term. Reality, said Logan Henderson, who plays Logan Mitchell onscreen, “is different for all of us. Kendall loves music while I started out acting. There’s a duality to the experience we’re getting through being in Big Time Rush the band and on the show. In the 1960s, the Monkees created a new direction for marketing music via television. Sure, performers had long peddled their talents on variety and talk shows, but this was different. Now, the TV shows could actually create the band. 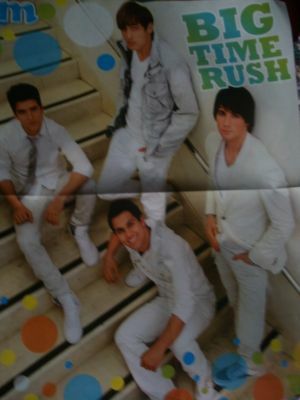 That’s the mold that the vocal quartet Big Time Rush has followed. 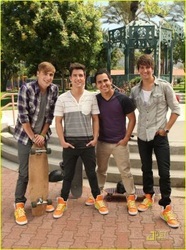 Composed of four actors (Kendall Schmidt, James Maslow, Carlos Pena Jr. and Logan Henderson), Big Time Rush is the centerpiece of a Nickelodeon show of the same name. The premise of the show, which debuted last year, follows four Minnesota hockey players as they pursue dreams of becoming a top-billed boy band, all while struggling with classic teen challenges of love, friendship and, of course, homework. While there are no ice rinks in the singers’ real lives, the boy band stardom has come true. Their show is one of the cable network’s highest-rated programs, and last year’s debut album, “B.T.R,” was a bestseller. 7 p.m. Saturday, Potawatomi Bingo Casino Main Stage, State Fair Park, 640 S. 84th St., West Allis. $20 upper grandstand seats at wistatefair.com and the ticket office, in the northeast corner of the Expo Center. Concert ticket includes fair admission. Only upper grandstand seats are still available for the show, which is likely to sell out. YouTube pop sensation Greyson Chance, 13, opens. 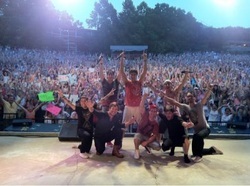 Logan Henderson tweeted: Ohio I hope you like this picture because you guys were out of control tonight! 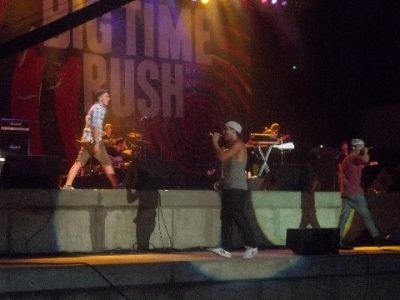 When Big Time Rush was mentioned as a possibility for this year’s WIOG Lizard Fair, organizers were split on bringing in Nickelodeon’s boy band, admitted Rachel Geddes, the radio station’s promotions manager. 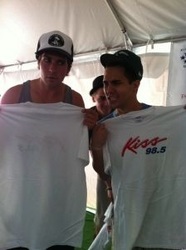 And when Big Time Rush erupted big time, “we started ordering more of our Lizard Fair T-shirts in kid sizes,” she added, laughing. Of course, as always, there’s a lot more happening Sunday at Midland’s Dow Diamond, with BTR sharing space on the tee with Flo Rida, Jay Sean and Runner Runner. » Click here for more! Nickelodeon’s teen stars catch waves, play tennis, skateboard, and enjoy other outdoor activities in a new promo campaign that shines the spotlight on the network’s signature health and wellness event – Worldwide Day of Play (WWDP). “The Road to Worldwide Day of Play” spots encourage kids and their families to get up and get active and features cast members from Nick’s popular live-action series, including Big Time Rush (Kendall Schmidt, James Maslow, Carlos Pena and Logan Henderson), Victorious (Victoria Justice, Daniella Monet, Leon Thomas III), iCarly (Jennette McCurdy and Nathan Kress) and True Jackson, VP (Keke Palmer). Also featured are the stars from Nick’s newest shows, Bucket and Skinner (Taylor Gray, Dillon Lane) and Supah Ninjas (Ryan Potter, Carlos Knight). The first campaign spot debuted on Saturday, July 30. On Sept. 24, Nickelodeon will bring its flagship Worldwide Day of Play (WWDP) event to Washington, D.C. for its biggest celebration of active play in the eight-year history of the initiative. The network will host an entire day of activities and games for kids and their families to encourage active and healthy lifestyles. “The Road to Worldwide Day of Play” promo campaign highlights The Big Help site www.thebighelp.com, where kids can get more information about the WWDP celebration event in D.C. and the local events in their area. Every state across the U.S. is expected to take part in Nickelodeon’s WWDP and more than 3,000 local events are anticipated. Additionally, Nickelodeon’s TV channels and websites will go off the air and offline during Worldwide Day of Play from 12 p.m. until 3 p.m. (ET/PT) to encourage kids across the country to participate in the celebration of healthy and active play. WWDP is part of Nickelodeon’s The Big Help health and wellness efforts, which include grants programs, public service announcements, websites, games and more. Over the past seven years, more than 2 million kids have pledged to lead healthier lifestyles. The Big Help campaign aims to inspire a kid-led movement for positive change and focuses on four key issues: the environment, education, health and wellness and community service. Nickelodeon's "Worldwide day of play"
In a recent interview with AOL, James Maslow of Big Time Rush gave ten random facts about himself. Did you know he used to ride horses? 10. 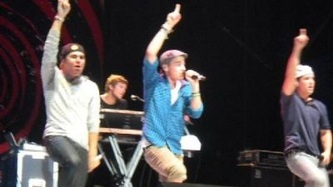 James, Carlos, Kendall, and Logan were all found in a nation-wide talent search. 9. 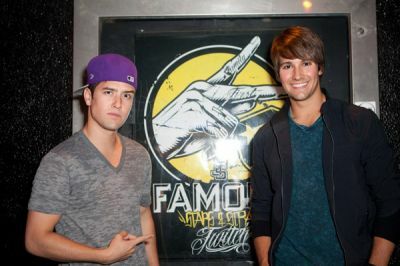 James guest starred on “iCarly” as Shane, a boy who got between Carly and Sam. 8. James worked at the San Diego Opera Company at only 10 years old. 7. As a kid, James spent his summers at a camp called Rawhide Ranch where he learned to ride horses. 6. 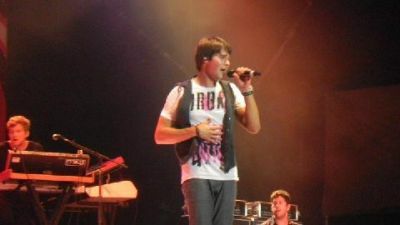 In 8th grade, James attended San Diego School of Creative and Performing Arts. 5. James decided to go to the school after his father gave him a choice of getting his own horse or going to the school. 4. James has a 12 year old, 100 pound dog named Falco. 3. 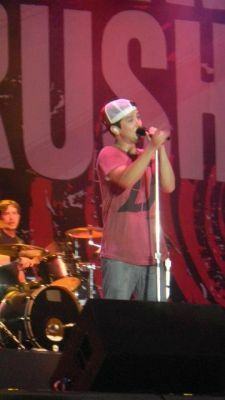 James has performed shows like “Footloose” and “Les Miserables” and someday wants to be a star on Broadway. 2. James chooses vanilla over chocolate. 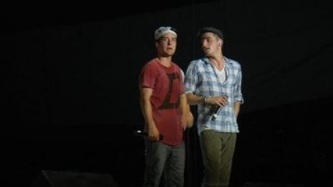 If Logan ruled the world.. 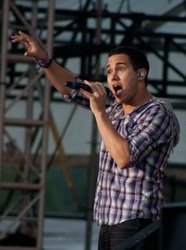 If Carlos ruled the world..
Three new Big Time Rush songs?! 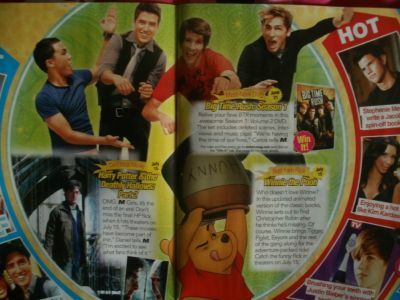 According to ASCAP (American Society of Composers, Authors and Publishers), Big Time Rush hasthree new songs coming out. I’m not sure if these songs are going to be on their sophomore album, but I’m hoping they are! I am SO excited hear what the guys have in store for us! 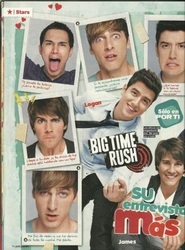 What would James do if he ruled the world..
Big Time Rush's funny interview with Logo! If Kendall ruled the world.. Regular event tickets and VIP packages go on sale TODAY at 3:00pm PST.Purchase tickets here! 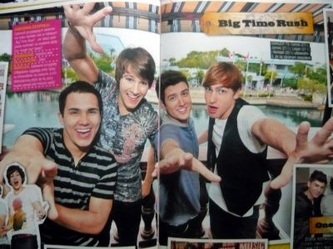 Welcome to Big Time Rush! about the boys of Big Time Rush. tour dates and many more.